What can I do about sunburned lips? As with any sunburn, treating sunburned lips should focus on repairing the damage, and avoiding future damage by using sunscreen and minimizing exposure to the sun. Depending on the extent of the damage, time to heal may be the only treatment required. Lotions and ointments containing vitamin E and aloe may speed up the process of repairing the skin. Proper hydration of the lip is important, but if the lip is badly sunburned, check with a physician or dentist before using lip balms. If the lip has blistered, preventing infection is important, and may be accomplished by gentle use of antiseptic wipes as directed by a dentist or physician. Application of antibiotic ointments containing bacitracin, neomycin and/or polymyxin may not be recommended due to the potential for kidney toxicity if ingested (especially with neomycin). If infection is suspected due to swelling and drainage, other antiseptic/antibiotic options such as chlorhexidine may often be safely used under the guidance of a dentist or physician, whom you should consult with as soon as possible- especially if nutrition is being adversely affected. Learn more about cold sores. Sun exposure is also a factor in the recurrence of herpetic lesions (cold sores or fever blisters). Repeated exposure to the sun is a risk factor for skin cancer. How should I treat chapped and/or cracked lips? Chapped lips generally occur in response to dehydration of the skin such as commonly occurs with excess exposure to wind and/or sun. Ironically, habitually licking the lips to re-wet them can also lead to their dehydration and chapping. Here the mechanism is evaporation moisture loss and mechanical exfoliation, with the tongue continuously rubbing on the most superficial cells. You can rehydrate chapped lips with daily lip soaks. Try using a soft towelette (wash cloth) saturated with normal saline. Or, make your own rinse by mixing a pinch of salt in 8 ounces of warm water and mixing it until dissolved. Apply the cloth to your lips for about five minutes. After moisturizing the lips, seal in the moisture with ointments such as vaseline or lanolin. If you do this prior to sleeping, the moisturizing treatment will have more time to effectively rehydrate the lips. Preventing moisture loss from the lips and protecting them from sun exposure using lip balms containing SPF factor 15 offers good protection against chapping and skin damage. There is controversy in the professional literature about whether SPF is a reliable measure of how long you can expose your skin before it burns. What is true is that it’s a measure of the amount of UVB (for “B-type Ultraviolet light”) the product filters. SPF 15 filters about 93% of UVB. SPF 30 filters about 97%. Sunscreens are rated this way because it was once believed that only UVB caused skin cancer. UVB is short wavelength radiation, and doesn’t penetrate skin as far as UVA. UVB is blocked by window glass. UVA is longer wavelength, and penetrates skin more deeply. Chronic exposure of the skin to UVA can damage the deeper connective tissues, leading to premature aging, and possibly contributing to skin cancer. In the United States, the American Academy of Dermatology (AAD) has supported FDA increases on SPF ratings to SPF 50+, believing that certain people with high risk of skin cancer due to skin type, occupational exposure, previous history of skin cancer, photosensitive medical conditions, immunosuppressed patients, and use of certain medications should receive the maximum allowable SPF protection. Moreover, the AAD has called for the FDA to include requirements for UVA protection, believing it necessary to protect the skin not only from skin cancers, but other skin conditions as well. Learn more about oral cancers. Repeated exposure to the sun can produce a whitened thickening of the lip skin known as solar cheilitis (also called actinic cheilitis), which is often accompanied by areas of darker pigment. Permanent skin damage and premature aging is common on the lips, and skin cancer of the lips is the most common type of oral cancer. Frequent application of sunscreen and avoidance of sun exposure are the best ways to prevent skin cancer. Wearing a broad-brimmed hat may afford additional protection from direct sunlight; however, it may be ineffective at protecting against reflected sunlight. Snow and water reflect a high percentage of the sun’s harmful rays. Still having issues? Switch lipstick or lip balm brands. If you take good care of your lips, and still have problems with chapping and itching, there may be an ingredient (like dyes) in your lipstick which is causing a reaction. Try switching brands or using a hypoallergenic brand. People who have severely worn teeth, or multiple missing posterior teeth frequently develop fissuring and cracking of the lips and commissures—the corners of the mouth. This is due to over closure of the jaws which causes the skin to fold over on itself. The skin folds may develop a fungal infection known as oral candidiasis. If your lips develop fissuring or sores that won’t heal, see a dentist or physician. I have a numb lip and/or tongue. What might be causing this? Numbness (anesthesia) is the absence of sensation to an area of the body, the extent of which depends on the nerve that is affected. 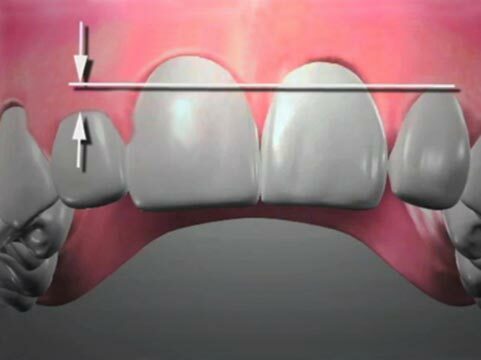 Temporary numbness produced by local anesthetic is desired for many dental procedures, and generally disappears over time as the anesthetic medication is absorbed by the body. Areas of soft tissue which have not received local anesthetic and suddenly lose sensation should be investigated by a qualified medical or dental professional as soon as possible. 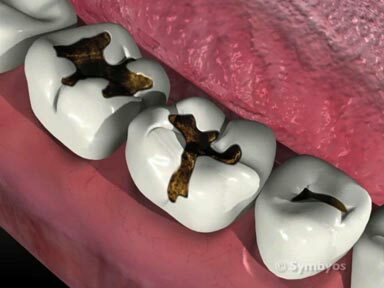 One common cause for sudden loss of sensation in the oral soft tissues is a dental infection (abscess), which produces fluid pressure around the nerve supplying sensation to the affected area. Another possibility is a cyst or tumor which has enlarged enough to put pressure on the nerve. Diagnostic tests and X-ray images will generally be necessary to determine the extent of numbness and the source of the problem. 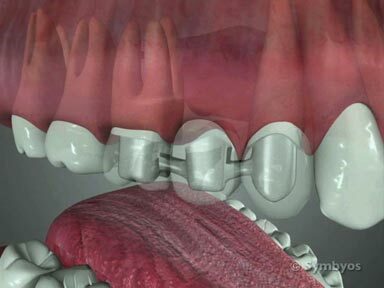 Some dental procedures have partial or complete numbness as a potential risk, although the risk is generally low. Depending on the extent of damage to the nerve, the numbness may be temporary or permanent. It is not uncommon to nick a nerve sheath during certain types of injection, and this can result in prolonged numbness which usually resolves over a period of weeks. Less commonly, a nerve may be partially or completely severed, resulting in more extensive numbness which can be permanent. This type of nerve injury usually occurs during certain types of surgical procedures. Among these are certain types of tooth extraction, placement of dental implants in certain areas of the lower jaw, and other surgical procedures which may be required in certain areas of the mouth. Also, post-operative swelling can sometimes produce temporary numbness. Your dentist can tell you whether the procedure you require has any risk of nerve damage and subsequent numbness. If you are experiencing any degree of numbness beyond 4-6 hours after a dental procedure, contact your dentist. What can cause a swollen tongue? Swelling is most commonly due to some combination of inflammation and infection, and where the tongue is involved, the most common source of swelling is infection following tongue piercing. Other common mechanisms for injuring the tongue are laceration from chipped teeth or dental restorations, biting injuries following dental procedures which require anesthetic, and orofacial trauma. Tongue swelling is potentially very serious, as enlargement of the tongue can restrict a patient’s airway enough to prevent proper breathing. Any tongue swelling should be evaluated immediately by an emergency physician if there is any chance of a patient’s airway being blocked.